For beekeepers who are developing beeswax for the pollination of local agricultural crops, this free printable business plan can assist in start-up organization and market strategy. COMPANY NAME develops and maintains bees for the pollination of agricultural crops, the production of honey and pure beeswax. 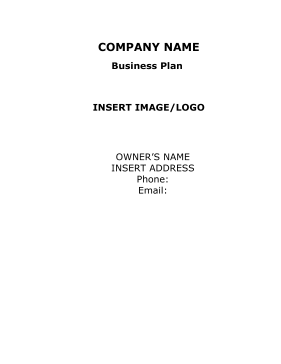 COMPANY NAME is determining its formal company structure with 50% ownership held by INSERT NAME(S). COMPANY NAME sells bee pollination services for the fertilization of crops, organic FDA approved honey and pure beeswax. The current financial plan for COMPANY NAME is to secure funding in the amount of $680,000. The funding will be used to purchase bees and produce bee hives, construct a honey kitchen, purchase land, equipment, a service truck and provide salaries for employees and working capital until the business maintains profitability. To fund a company that will bread, house and transport bees, facing extinction,which are critical for the pollination of agricultural crops. • To become a premier provider of bee pollination service in the United States. • To help the Nation reestablish the bee population essential to the fertilization of fruits and vegetables and sustain its ability to feed itself. • To market organic honey and beeswax. COMPANY NAME will develop into the Nation's most valuable provider of commercial colony bees for the pollination of agricultural crops and protection of the natural ecosystem in the United States and globally by providing a robust bee population that provides optimal pollination services to a diverse range of horticultural crops. • The current demand for the biggest insect migration in the country in order to pollinate the billion-pound California almond crop, which is among the State's most valuable agricultural product, which is only one of a vast number of crops in need of pollination. • The unfortunate global edge of extinction of the Nation's most important pollinator, the bee population, essential to the fertilization of agricultural crops. • Decades of beekeeping experience training and education. • A commitment to the service of pollinating the nation's crops and reestablishing the Country's bee population.